The wireless multi-functional HP PhotoSmart Premium TouchSmart Web facilitates innovative features to print from the web without a Personal Computer. The printer, which is the first of its kind in digital touch-screens, accesses the web without computers. The printer will print, fax, copy, scan and more. The customizable HP PhotoSmart Premium TouchSmart Web will organize all your favorite apps with the "Get More" feature. The printer features access to your photos on www.snapfish.com without the use of a PC. Snapfish, a division of HP, offers unlimited storage for all your photos for editing and sharing. The printer accommodates photographers, artists, and other visual arts employees. The printer is ideal for artists and is a critical tool for multimedia experts worldwide. The full-bodied 4-in-1 HP PhotoSmart Premium TouchSmart Web prints at speeds of 33 black & white pages per minute, and 32 color pages per minute in draft mode. For normal quality modes, the printer prints 12 black pages per minute and 9.5 color pages per minute. Black page print-resolution of 600 x 600 dots per inch and color print-resolution of 9600 x 2400 dots per inch goes unparalleled with standard printers. The standard input paper-tray holds up to 100 sheets or 20 sheets of photos. The output tray will hold up to 50 sheets of paper. The envelope feeder capacity reaches up to 15 envelopes. 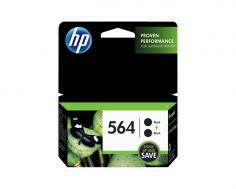 The standard memory of 256 Mega Bytes goes well above the memory needed for a small business office or home office. Various technologies for retouching photos such as photo brightening, image restoration, adaptive lighting, auto red-eye removal, and auto photo fix are just the icing on the cake. The connection capacity relies on the USB 2.0, Ethernet, PictBridge, Wi-Fi 802.11n, RJ-11 Fax, and Bluetooth. The printer only weighs 16.53 pounds and can be easily moved to any location. An additional wireless card will not needs be purchased because the wireless capability is embedded in the printer. The printer comes with "Peace of Mind" with a one-year warranty and phone support available 24/7. With the warranty contributing to the peace of mind, the energy star qualified printer will protect your bottom line by cutting the paper consumption in half with automatic duplexing features. The miraculous aspect of printing photos from Bluetooth enabled phones is intriguing. 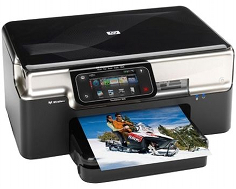 The printer can be used via Wi-Fi enabled devices, which makes an aspect of the set-up a breeze. The printer takes an overabundance of color cartridge types for optimal quality of prints. The Onscreen apps feel a little tricky and incomplete with slow response time. There are rumors of the apps freezing from time to time. The HP PhotoSmart Premium TouchSmart Web printer will cost around 300-500 dollars, and that is a bit steep for a printer with glitches in the apps management section. The touch-screen apps are known to glitch from time to time, there should be additional hard buttons included, to compliment the functionality in case the digital touch-screen malfunctions. The web apps intrigues many people, the initial execution of the unit exhibit the obvious refinements that need to be done. Unfortunately, the standard memory of 256 Megabytes of memory is also the maximum capacity. This printer is amazing! First and foremost, as a printer, this thing kills. For everyday printing in B/W, there is a super fast mode that prints a page in 2 seconds. It also connects to many devices through windows 7 printer sharing or iphone/ipod touch HP applications. On top of all that, the applications make it easy to scan/copy from the device or print out articles and coloring pages for kids. I would definitely recommend this printer to friends. My bro owns this printer and it is SICK. We're talking printing, we're talking scanning, we're talking a touch screen display ON THE SIDE OF THE PRINTER. It's basically like having an ipod touch for your printer with downloadable apps like coloring books and recipes. Bottom line: this printer is good. Review it: "HP PhotoSmart Premium TouchSmart Web "
The HP PhotoSmart Premium TouchSmart Web printer will take ink cartridges such as the HP 546 Black PhotoSmart (yield of 250 pages). The Photo Black has a yield of 130 pages with the size of the paper at 4 x 6 inches. The 564 Cyan PhotoSmart has a yield of 300 pages. The 564 Magenta PhotoSmart has a yield of 300 pages. The 564 Yellow PhotoSmart has a yield of 300 pages. 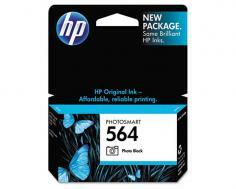 Large cartridges, the HP 564XL, will yield 800 pages in Black, 290 pages with a size of 4 x 6 inches in Photo Black, 750 pages in Cyan, 750 pages in Magenta, and 750 pages in Yellow. The findings are based on the average content on pages, and the number of yields will vary depending on the complexity of documents.